Meri Baji is a popular family entertainment drama is on airing on ARY Digital. The drama is on air every Monday to Thursday at 7:30 PM. The drama is fully entertainment drama. 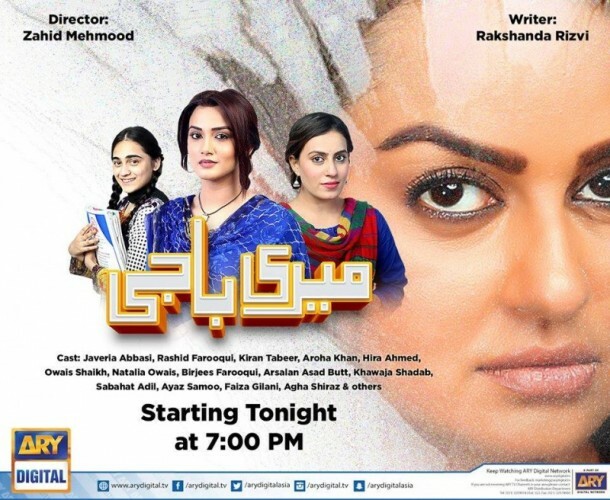 The drama Meri Baji is starring Javeria Abbasi, Ayaz Samoo, Kiran Tabeer and more in leading role. The story of the drama is very interesting. It is a pure family drama serial.